P/N: 6018 Price: $385 each Eligible On: PA-18 and PA-19 Series Aircraft STC: SA02358AK-D FAA/PMA: Supplement 15 Weight: 9.4 oz. 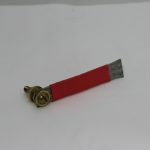 Material: 4130N Purpose: To install B&C Alternator under STC SA0134WI and SE00939WI. Installation: Please see Installation Instructions. Misc. Information: Requires P/N 6020 for installation. Fits wide deck only. P/N: 6003 Price: $165 each Eligible On: PA-18 and PA-19 Series Aircraft STC: SA02358AK-D FAA/PMA: Supplement 15 Weight: 6 oz. Material: 4130N Purpose: To install B&C Alternator under STC SA0134WI and SE00939WI. Installation: Please see Installation Instructions. Misc. Information: Requires P/N 6020 for installation. Fits wide deck only. P/N: AD12818-00 (left hand, rear) and AD12818-01 (right hand, rear) Price: $52.50 each Eligible On: Piper PA-18 Series Aircraft STC: N/A FAA/PMA: N/A Weight: 11 oz. Material: 2024 T3 Aluminum Purpose: Serves as inspection panel between boot cowl and fuselage fabric. Installation: Same as original stock parts. P/N: 18-BC Price: $1,685 each Eligible On: PA-18 Series Aircraft STC: N/A FAA/PMA: N/A Weight: 11 lbs. Material: Stainless Steel Misc. 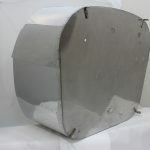 Information: F. Atlee Dodge boot cowls are fabricated using our FAA/PMA approved firewall. We incorporate reinforcements at the cowl channel attach points to prevent cracking. Cowl channel kit is installed. Side to top seams are left un-riveted to allow for adjustable fit to fuselage. P/N: 3281 Price: $127.50 each Eligible On: PA-18-150 STC: N/A FAA/PMA: Supplement 14 Weight: 5 oz. 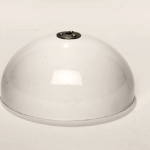 Material: Aluminum Purpose: Heavy duty replacement for Piper P/N 15007-00 Installation: Same as original installation. Please see Piper Owners Manual. Misc. Information: Powder coated white or black. Stainless steel washer added to prevent wear and tear. P/N: U12351-015 Price: $845 each Eligible On: PA-18-150 Series Aircraft STC: N/A FAA/PMA: Yes (Univair holds PMA approval) Weight: Same as original. Material: 4130N Steel, powder coated gloss black. Purpose: To secure the power plant to the firewall. Installation: Same as Piper stock installation. Misc. Information: Ground strap installed. Custom colors available upon request. P/N: AD15005-180 Price: $1,485 each Eligible On: Piper PA-18 with 180HP STC: N/A FAA/PMA: N/A Weight: 2 lbs., 13oz. Material: Stainless Steel Misc. Information: Custom fabricated upon request. P/N: 3278 Price: $42.50 each Eligible On: PA-18 Series Aircraft STC: N/A FAA/PMA: Supplement 13 Weight: 3 oz. 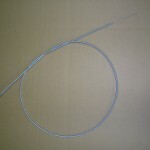 Material: Braided lead cable Installation: Direct replacement for Piper P/N 14225-00. Includes attach bolt.